As practical as an organiser. Made from the finest calf nappa leather inside and out. Handmade. Super soft and extremely flat. 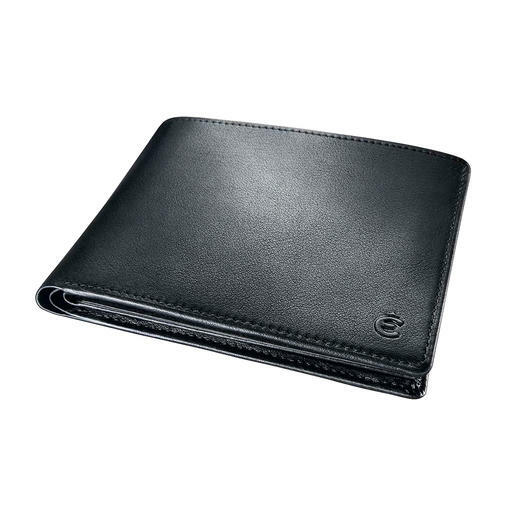 The leather wallet by Esquire with a patented security systemfor your credit cards. Prevents cards from falling out. And doesn’t give pickpockets a chance. Simple yet ingenious: The credit card sections in this wallet are not open at the top as usual. Here they open to the side beside the centre fold: Large openings make it conve­nient for you to access them – yet they are perfectly protected from view and unwanted access by others. A nano-thin metal layer shields the contents against electromagnetic waves. No one can spy on your ID, bank or credit card details with an RFID reader when passing by. 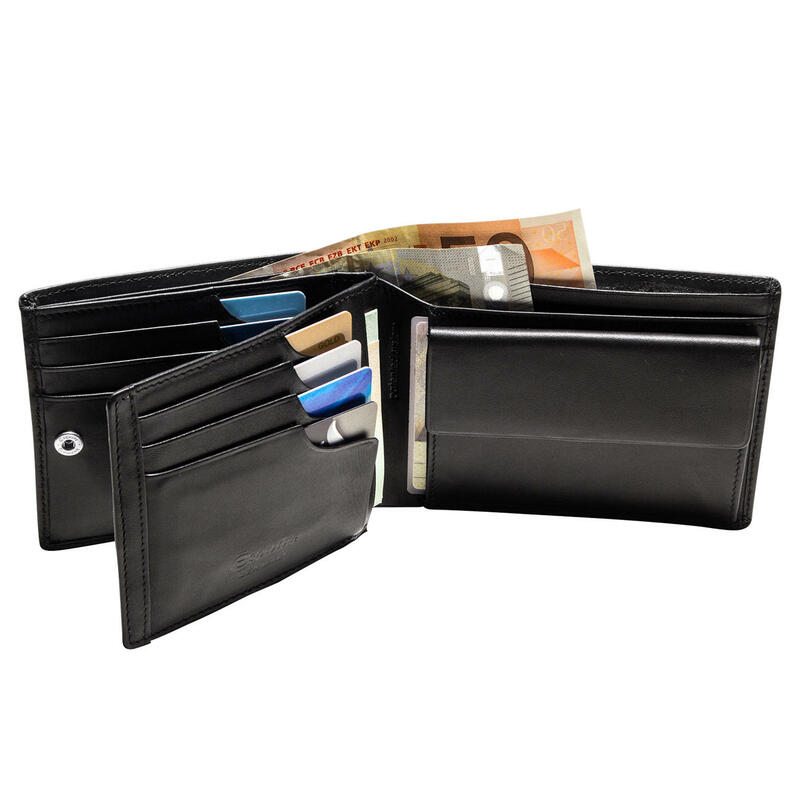 The leather partition panel in the centre contains 4 cardsafe inserts and 2 slots. 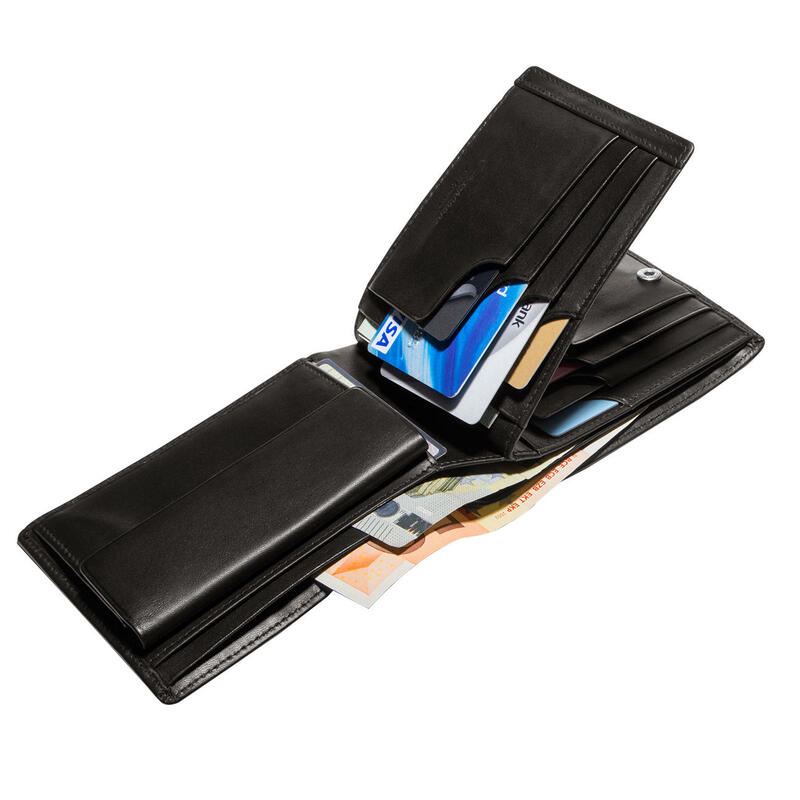 A press stud secures the concealed section containing 4 additional cardsafe inserts, as well as 1 mesh compartment and 2 slots for your identity documentation. Double mock compartment with 4 additional credit card slots in the lining as well as a hidden compartment, which can be accessed by lifting the rear lining. 1 press stud compartment holds your coins. Folded up measures 12.5 x 9.5 x 2cm (5″ x 3.7″ x 0.8″) (W x H x D). Weighs 95g (3.4 oz).